The benefits of a skip alternative as opposed to traditional skip hire. Hiring a Skip can be an extremely helpful way of removing unwanted junk from your property, however, skip hire does have its limitations, for example, if you require a skip to be left roadside you would have to obtain a permit from your local council. Another downfall which could arise is that you happen to hire a skip which is too large or small, this could be a costly mistake With skip hire, you pay for a full skip whether you fill it or not! Skips can take up valuable parking spaces for the duration of the hire period. It’s best to always be available when you have a skip delivered as it may end up being dropped off in an awkward area, if you live in a narrow street it could possibly blocking access to other properties. ✅ Labour costs are included for a cheaper convenient rubbish clearance. Choosing our Skip hire alternative service has many benefits. 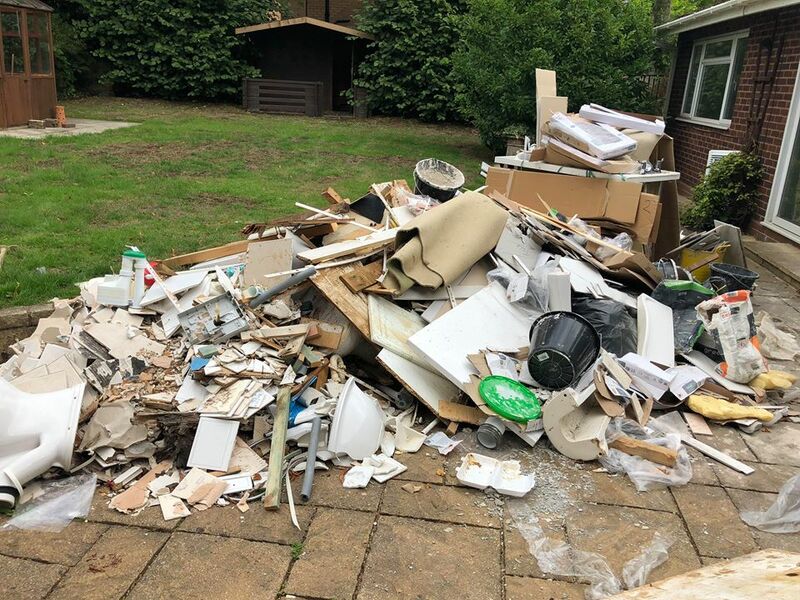 Get It Tidy only charge you for the amount we take away, whereas hiring a skip you will be charged for a full load regardless if it’s full or not. With our cheaper skip alternative rubbish removal service, you can choose a time which suits you! Our rubbish removal clearance team make our service quick, simple and very cost-effective, we do all the heaving lifting and loading in a much faster and efficient time it would take you to load a skip, saving you money! Our friendly team will arrive if possible on the same day, removing all types of unwanted junk and waste for both domestic and commercial customers, clearing items such as builders waste, plasterboard, garden waste, old sheds, greenhouses, factory waste and much more. Are you looking for cheap skip hire prices in Birmingham? Get It Tidy provide a professional, skip hire alternative to suit all budgets. We offer a fantastic fully insured service across Birmingham and surrounding areas, we load for you, no permits, no job is too small. Our prices are fair and great value for money!